Welcome to CampgroundTour.com. We’ve made it our mission to answer the “find campgrounds near me,” or “show RV parks near me” questions with the most accurate, timely, and easy-to-use database of campgrounds nationwide. 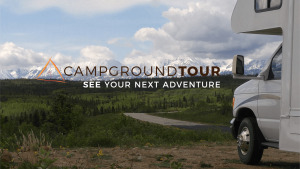 CampgroundTour was born from a desire to explore – the staff at CampgroundTour are fellow RV and camping enthusiasts who were frustrated by the fragmented information available on campgrounds and RV parks. As a result, CampgroundTour was created.